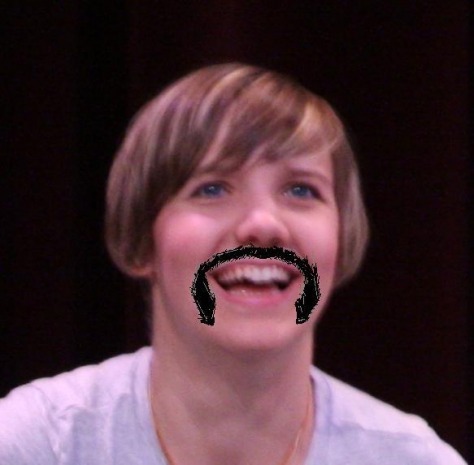 Liz is wearing the classic "Fu Manchu." There are hundreds of iconic characters known for wearing the "Fu Manchu." Most of them are from the 70's. It still has a few footholds with professional wrestling and truckers, but besides that its a rare breed these days.